Do you have a sarcastic sense of humor? 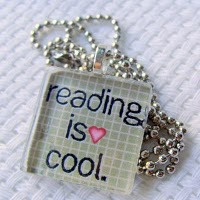 If so, then do I have a book for you! 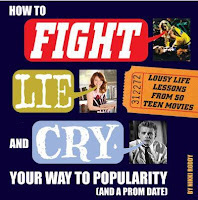 How to Fight, Lie, and Cry Your Way To Popularity (and a prom date) by Nikki Roddy is a hoot. She profiles 50 famous teen movies, and summarized a life lesson from each. Risky Business (1983) life lesson: "If you lie to your parents, steal your dad's car, and solicit a prostitute, you'll get into an Ivy League school." Buffy the Vampire Slayer (1992) life lesson: " If you're forced into a life of killing vampires, at least look hot while doing it." I Know What You Did Last Summer (1997) life lesson: "If you're going to accidently run over a psychopath and dump his body in a harbor, make sure he is actually dead." Bring it On (2000) life lesson: "Even if you get caught stealing routines, and have no choreographic experience, you can still take second place at a national cheer competition." Twilight (2008) life lesson: "It's OK to date a dead, murderous vampire so long as he's hot and has great hair." There is also a trivia question, and a "sound bit" from each movie. Not a particularly deep read, but lots of fun!